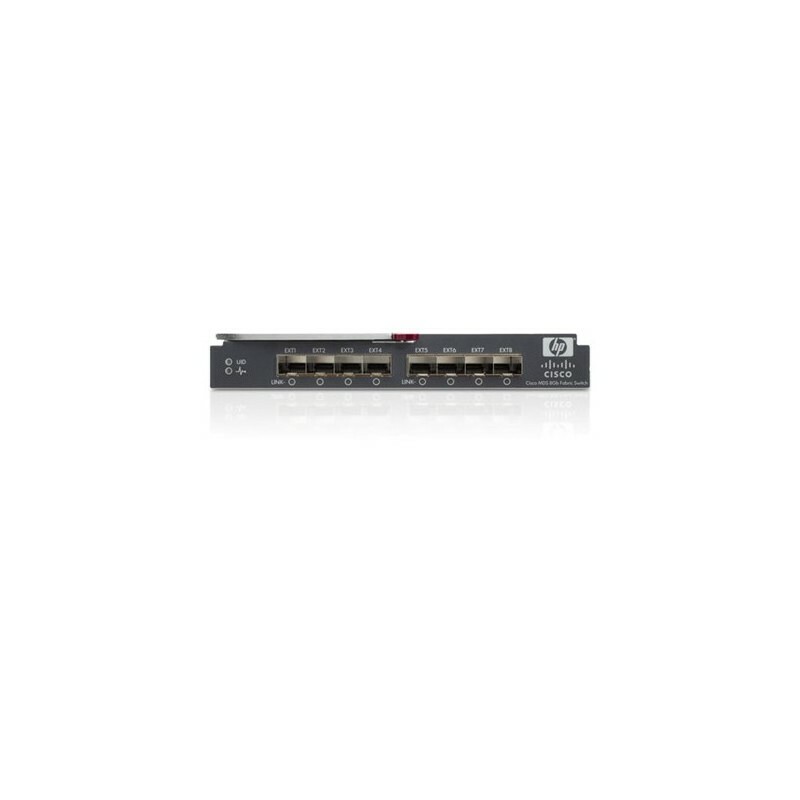 The Cisco MDS 8Gb Fabric Switch for HP BladeSystem c-Class delivers an embedded option for HP BladeSystem c-Class customers deploying storage area networks in their enterprise. The integrated design frees up rack space, enables a reduction of components, and utilizes shared power and cooling within the BladeSystem enclosure resulting in space and cost savings. The Cisco MDS 8Gb Fabric Switch supports VSAN, an industry standard for fabric virtualization enabling more efficient network use. The N-Port Virtualizer FlexAttach mode streamlines the infrastructure by reducing the number of domains to manage while enabling the ability to add or move servers without impact to the SAN. Advanced traffic management features optimize the fabric. Management is simplified with a broad range of integrated tools and switch management is integrated with HP BladeSystem management creating a unique and tightly integrated experience for server and storage administrators.